The rhythmic clapping starts slowly, then gradually crescendos to a fevered pitch. Thousands of avid fans are on their feet as the competition begins. It’s the kind of passion usually associated with NASCAR or a World Cup soccer match. But these fans are here to see a track meet. 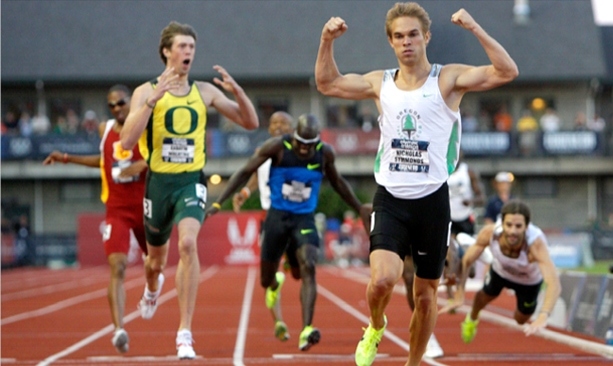 Welcome to Hayward Field in Eugene, Oregon — the track-and-field mecca of the United States. 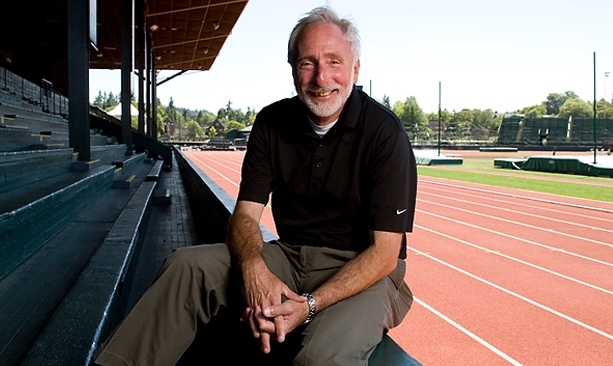 Behind the renaissance of the city dubbed “Track Town USA” is coach Vin Lananna. 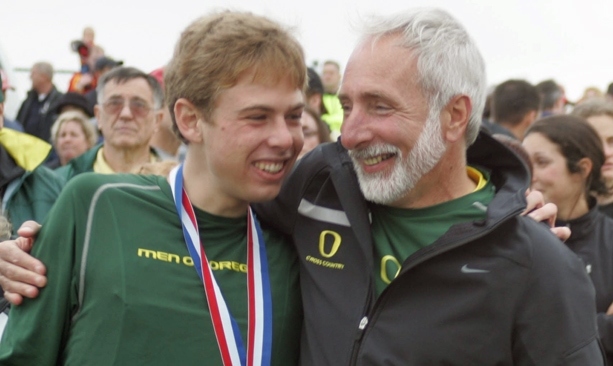 Lananna went on to coach at Stanford, where he won five NCAA titles, but he jumped at the chance to lead the University of Oregon, calling the job “a once-in-a-lifetime opportunity.” Since his arrival in 2005, Oregon has re-established its running pre-eminence by winning multiple NCAA titles. Lananna was recently honored as NCAA Men’s Cross Country Coach of the Year for the sixth time. 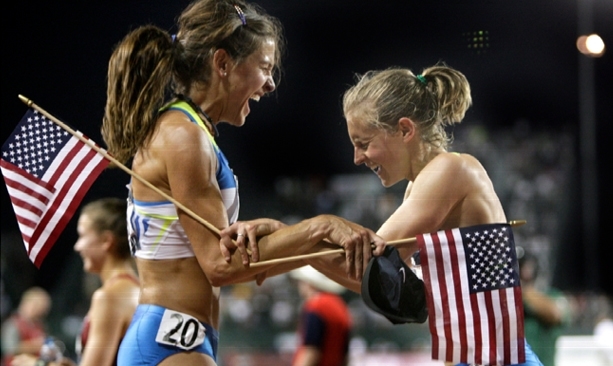 Lananna’s leadership has also helped re-establish Eugene as Track Town. During its heyday, Hayward Field hosted three consecutive Olympic Track Trials, in 1972, 1976 and 1980. After a 28-year gap, Eugene won the competition to host two consecutive Olympic Trials, in 2008 and again in 2012, thanks to Lananna’s leadership. 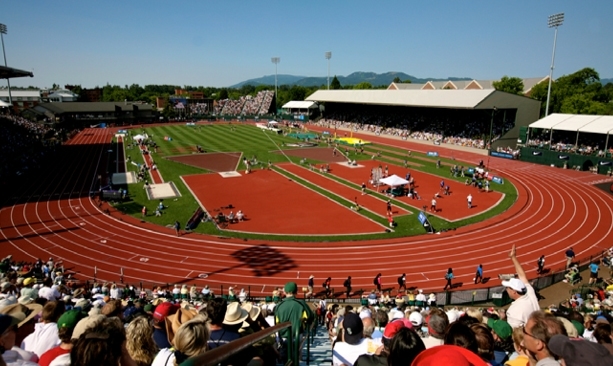 Hayward Field has also been chosen to host three USA Track & Field national championship and three NCAA championships. 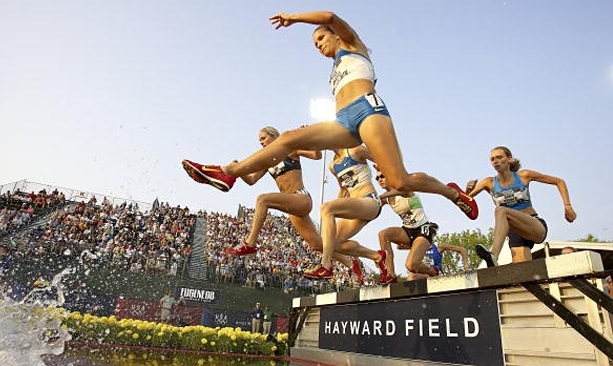 Eugene boasts an extraordinary mix of track history and running innovation. Legendary coach Bill Bowerman tinkered endlessly with running shoes, teaming up with U of O grad Phil Knight on what would ultimately became Nike footwear. 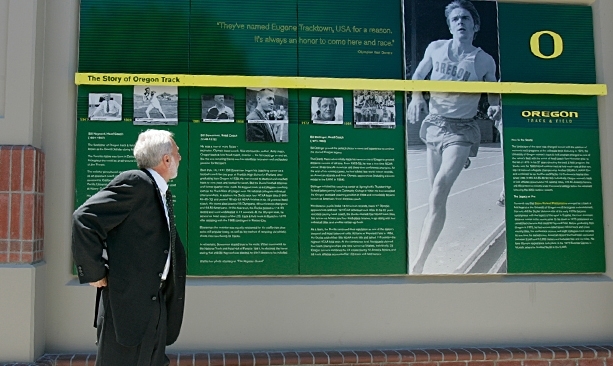 Iconic runner Steve Prefontaine electrified Hayward Field with his passionate, gritty running style. 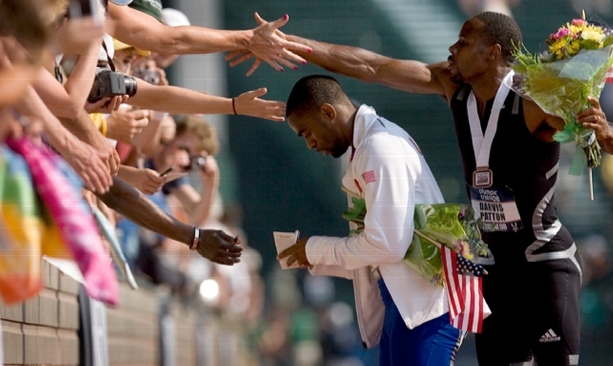 Lananna remembers proudly one example from the 2008 Olympic Trials, which he helped bring to Eugene. With a trip to Beijing at stake, three runners from Oregon swept the top three spots in the 800-meter race, thrilling the Hayward crowd. “This is where Olympic dreams are conceived,” says Lananna. And those dreamers won’t have to wait long. 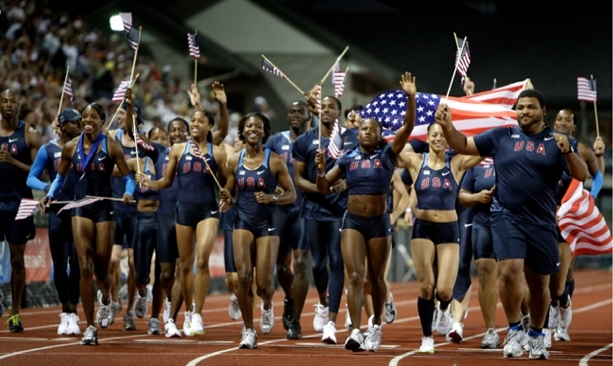 Track Town USA will host the U.S. Olympic Track Trials again in 2012. 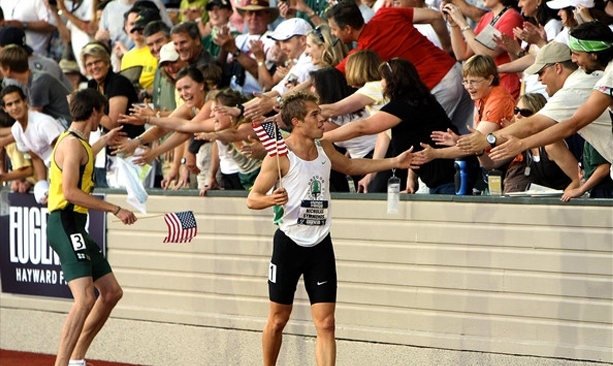 From June 22 to July 1, the stars of U.S. running will converge on Hayward Field, competing to earn a trip to the London Olympics. With Vin Lananna’s help, some of those golden dreams may be fulfilled by Oregonians.